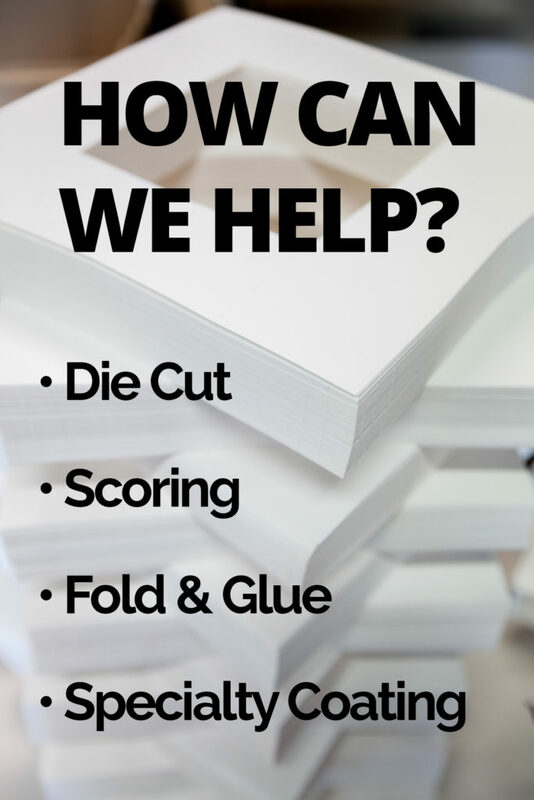 Our full-service staff and facility provides prepress, printing, specialty coatings, die-cutting, and folding & gluing for paper and chip board folding carton printed goods. We’ve delivered quality finishing services to businesses throughout the Greater Chicagoland area for more than 40 years. As a digital printing facility, we’re able to produce first-run prints faster and at a lower cost than traditional printing peers. We offer a variety of specialty coatings, including UV, to create the impact you’re after, meanwhile protecting the vibrancy of color. 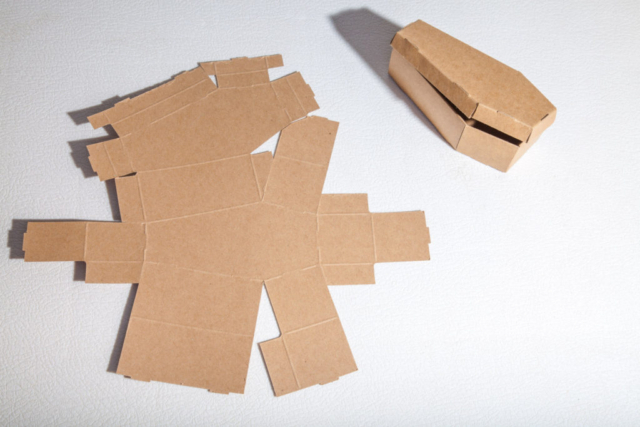 We provide in-house specialty folding and gluing in preparation for fulfillment. Our efficient equipment and processes allow us to provide customers with lower-minimum first-runs at excellent price points. 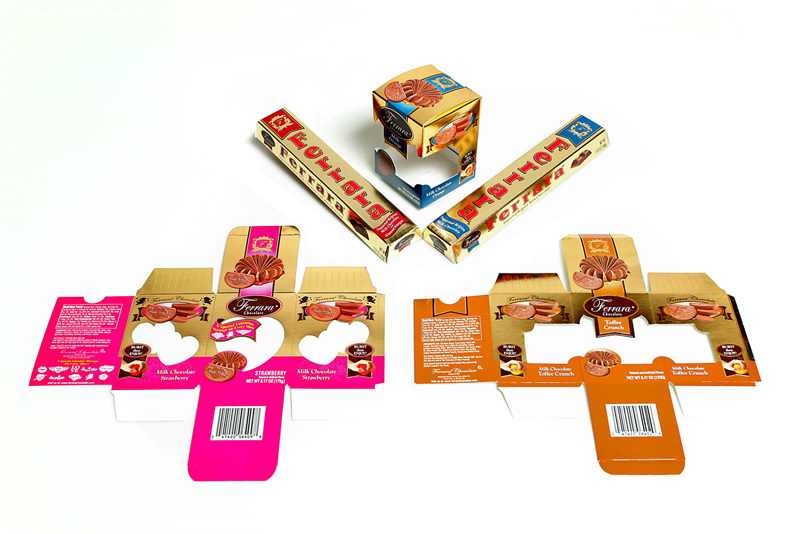 We provide comprehensive die-cutting services from unique 2-dimensional tag shapes to cuts and scoring for complex folding carton designs. 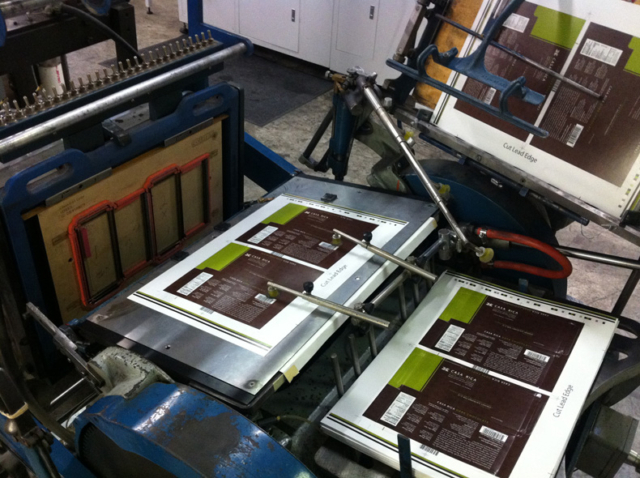 We also offer custom embossing and hot foil stamping. 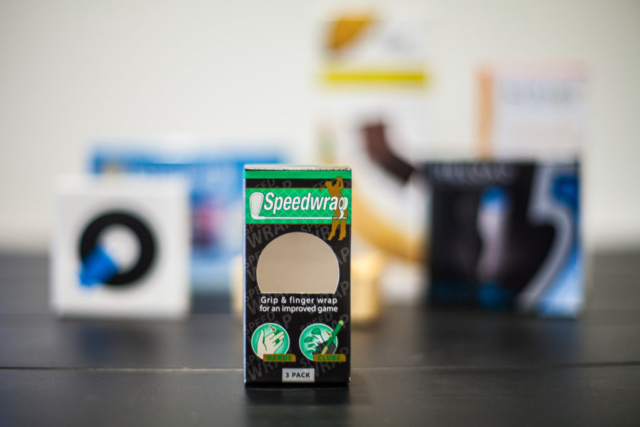 For over 40 years we’ve served the Chicagoland market as a leader in short-run package printing and flexo plate prepress and manufacturing. If you’re looking to make a splash with a new product or updating your brand, give us a call or fill out a quote request form.